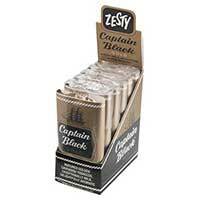 If you are looking for a brand that gives you the most amazing smoking experience, try out Captain Black Pipe Tobacco. 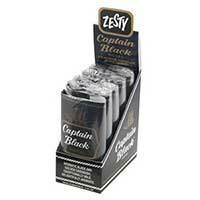 The brand goes back to 1973, when the famous tobacco manufacturer Captain Black started its operations. The company specializes in the production of premium quality pipe tobacco. Captain Black Pipe Tobacco brand is owned by the Scandinavian Tobacco Group, based in Tucker, Georgia. It offers a blend so pure, flavorful and tasty that keeps you coming back for more. The brand is famous for it's full-aromatic craze and rich, overwhelmingly pleasant aromas. Try out incredibly exciting flavors of Captain Black tobacco at Discount Little Cigars.